Cindy deRosier: My Creative Life: Beaver Valentine - "I Chews You!" 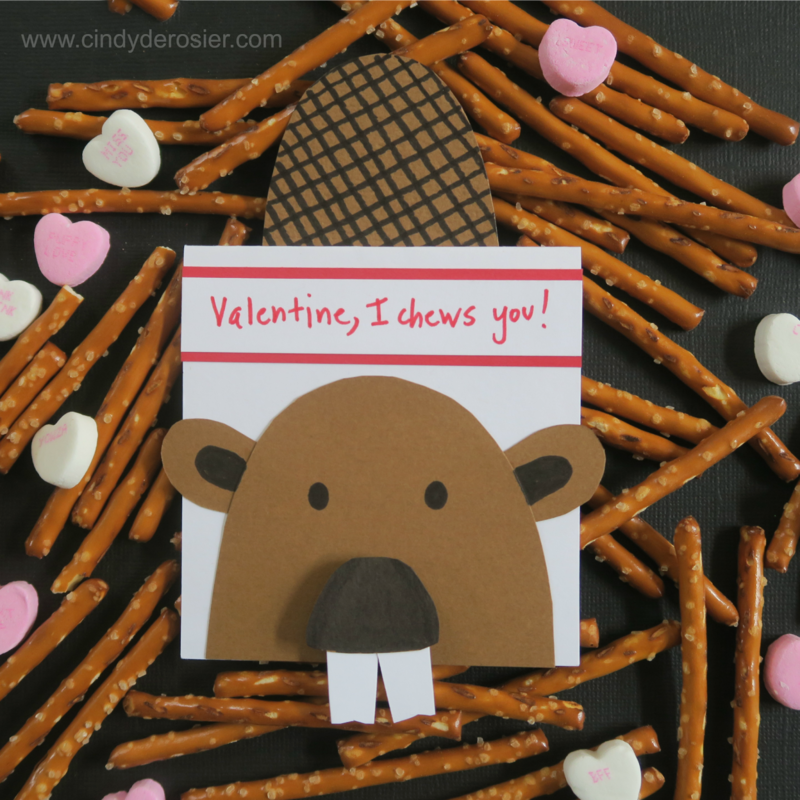 Beaver Valentine - "I Chews You!" 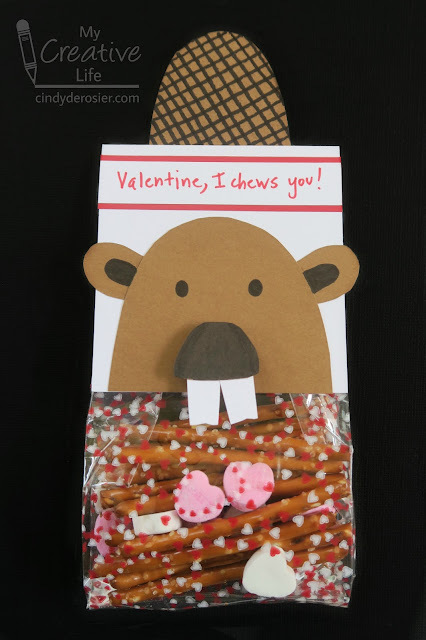 Continuing with my cute animal + pun theme, here's another idea for a homemade valentine. Cut a piece of white construction paper so it is about the same size as your treat bag. Fold it in half to form the base of the treat topper. Write "Valentine, I chews you!" in red pen on a strip of white paper. Mat it on a strip of red paper and then glue that near the top of the folded treat topper. Cut two teeth from the white scraps and set them aside. Cut a rough semi-circle from brown construction paper to make the beaver's head. Cut a slightly smaller oval for his tail. Use the scraps to cut two ears and nose. Use the Sharpie to add two eyes to the beaver's face. Color in the nose and the inner ears. Draw parallel diagonal lines on the the tail, first in one direction, then again so the two sets of lines meet at a 90° angle. Fill the treat bags with pretzels and conversation hearts. Staple the treat topper to the filled treat bag. Glue the ears behind the head, then glue the head to the front of the treat topper. It should hide the staples. Glue the teeth behind the nose, then use foam dots to attach the nose. Glue the tail to the back of the treat topper. A little update on my massive 'organize my animal crafts' endeavor. I am working on the mammals, doing a handful each day. I'm around 80 and counting. As you can imagine, there are quite a few rabbits, but the rest is a fairly balanced mix. Well, other than reindeer and beavers, which are both over-represented. No matter. I'm really enjoying looking back on my animal crafts. Having them all in one place will make things so much easier and is already inspiring me to make the animals that are not well-represented yet. This is SO cute. I was needing a valentine for my Grandson and this is going to be it! Will do it this afternoon! Thanks so much! PS I really like that page of bird crafts too. Really cool! 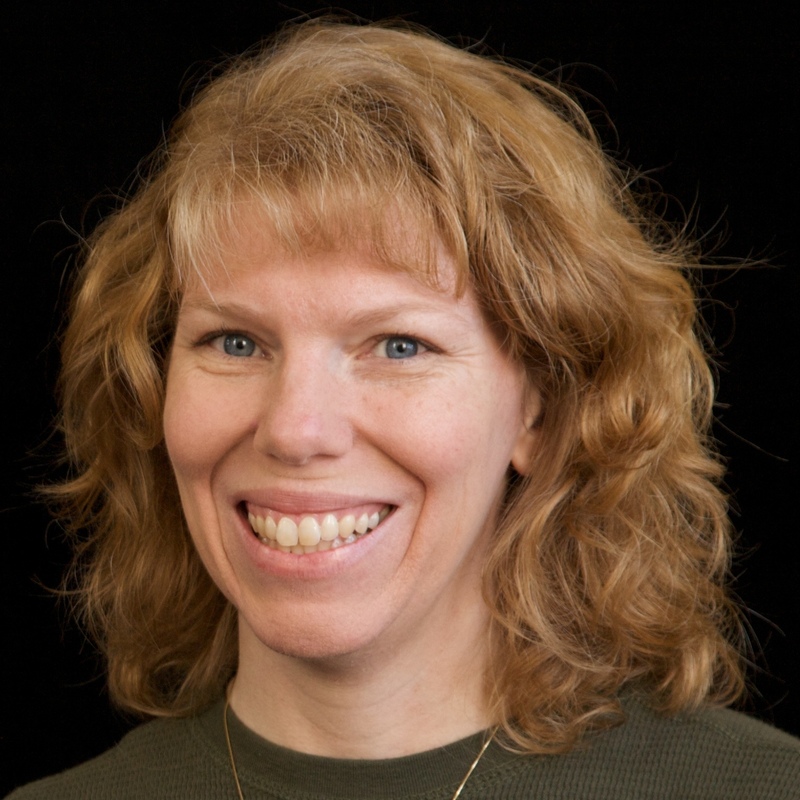 So glad to have helped! This is just ADORABLE!!!!! I love that sentiment!!!!!! Paint Pouring "Be Creative Every Day"